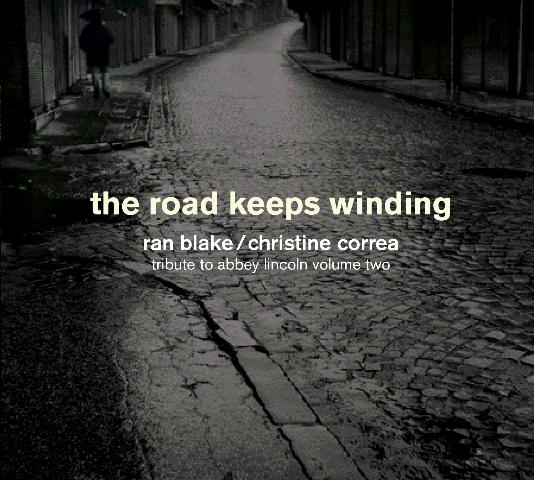 At their sublime best, Ran Blake and Christine Correa’s recordings are so singular that comparisons with other performers of the same repertoire aren’t relevant, so much has this brilliant music duo evolved into something that follows its own expressive rules that may be solidly based on current musicology precepts, but never feels restricted by them. Ran Blake and Christine Correa have more exterior sheen, an attractive, soft-focus, yet forthright quality in this follow-up to volume one of this set dedicated to Abbey Lincoln – Down Here Below; both one-voice-to-a-part performance practice that has swept the vocal music world. The Road Keeps Winding offers a trademark blend of voice and piano, here sounding like extensions of each other, yielding clarity that is particularly revealing in the dissonant tension of Abbey Lincoln’s more intense tone-painting, while also projecting a gravity that other homages generated albeit with larger music contingents. The programme works very well, not the least because of the choice of works is astute, nearly consistently out of the top drawer. This is a splendid work, complex and expansive and the moving “Evelina Coffey (The Legend of)” which concludes the disc is a fitting testament. A complete (well, almost) recording of Ms. Lincoln’s work is long overdue and this is definitely it in a definitive sort of way. The distinctive acoustic of the studio in which the music has been recorded—and the engineers who shepherded it throughout—adds another wonderful quality to this tribute. In any case, the intense humanity of the singing becomes a unifying factor in this disc. Though I have rarely heard a recording of Abbey Lincoln’s work that I didn’t want to heard again and again—so much does it inspire the best efforts of its performers—this one stands with the best (all comers included) made over the years, the strengths being the purity and accuracy of the vocal lines and the sense of how forward-looking the music must have sounded in its own time. The body of each song establishes a certain harmonic field familiar to anyone who knows the music if Ms. Lincoln, though this recording underscores the Abbey Lincoln’s departure from all of that when announcing each verse with characteristic inflection and expression that can waft towards heaven with hints of all that is angelic in nature. Christine Correa and Ran Blake are more sure-footed here than any duo I know. Their interpretations are confident and exquisitely—after Abbey Lincoln—not pitch-perfect. And they are the best I have ever heard since Abbey Lincoln first sang them. Thus they are valuable additions to the discography, particularly those of the pieces on this collection. Abbey Lincoln enthusiasts – of whom I am obviously one—will find this duo and their poignant music a palimpsest of Ms. Lincoln’s repertoire. As always, Ran Blake’s accompaniments are splendidly sensitive as his role of a soloist on this disc. 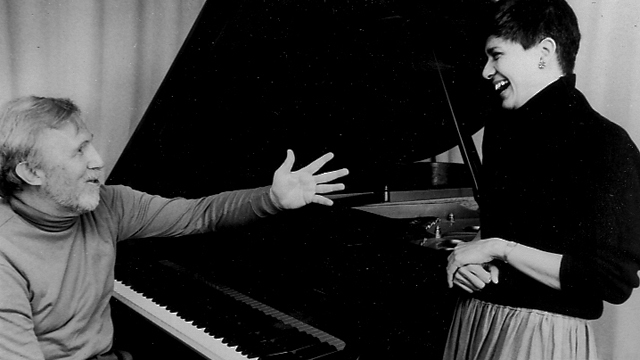 Such voice and piano dexterity is truly astonishing and well worth exploring and relishing. Vocalist Christine Correa is a native of Mumbai, India currently residing in New York. After relocating to the U.S, she soon became involved in a variety of improvisational contexts. Christine has performed and recorded with artists such as Steve Lacy, Ran Blake, John LaPorta, etc. and has appeared at numerous festivals and clubs in the U.S, Europe, Africa, the Middle East and India. She is a member of the Frank Carlberg Quintet which is dedicated to performing Carlberg’s settings of 20th (and 21st) century poets such as Robert Creeley, Anselm Hollo, Jack Kerouac, etc. Christine is Director of the Maine Jazz Camp – a camp for high school and middle school students.